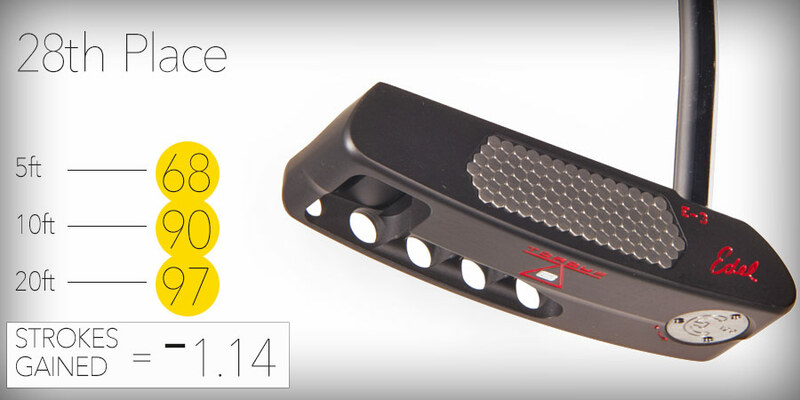 Yesterday you saw the big list of putters we evaluated in our 2015 Most Wanted Blade Putter Test. Today we show you how they performed. As with all MyGolfSpy testing, logos and name means nothing. Performance is everything. And our new scoring system is the most accurate way to test performance regarding player putter efficiency. 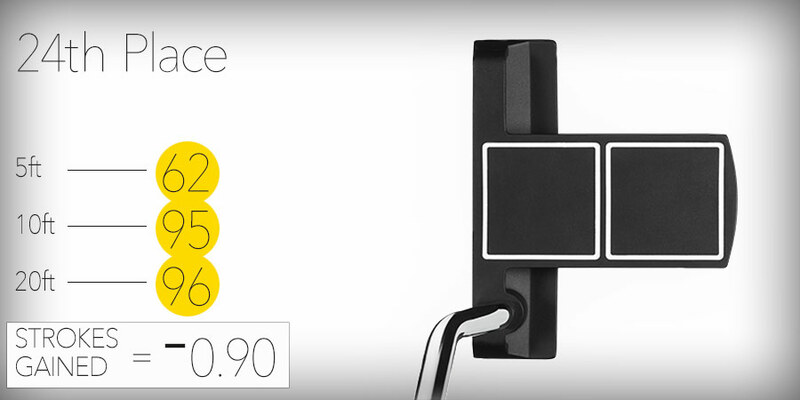 You don’t likely have the time to test twenty-nine putters, but we do. 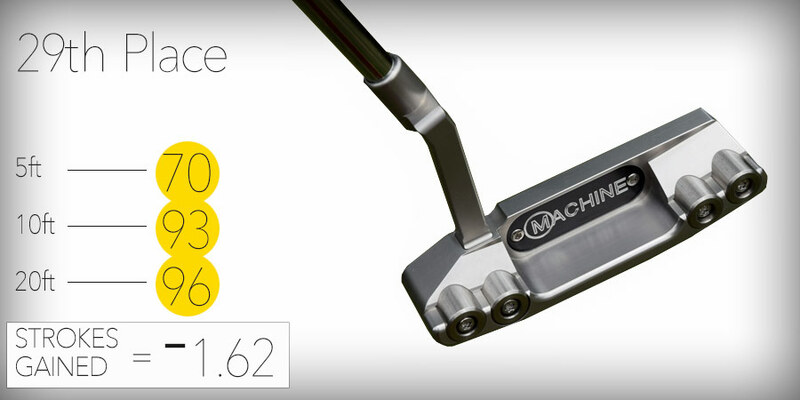 Our 2015 Most Wanted tests will point you toward the best putters in the marketplace. 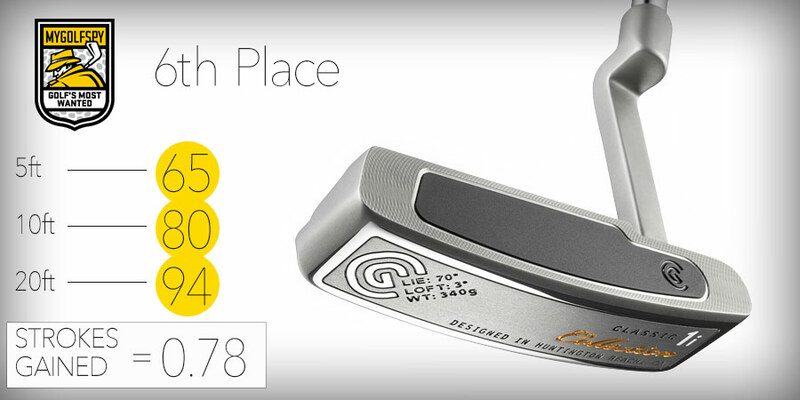 We’re not talking about the most popular putters, we’re talking about the putters that actually perform. Strokes Gained (developed initially by Professor Mark Broadie of Columbia Business School) putting has been approved by the industry and golfers as the most accurate and important way to present player putter efficiency. 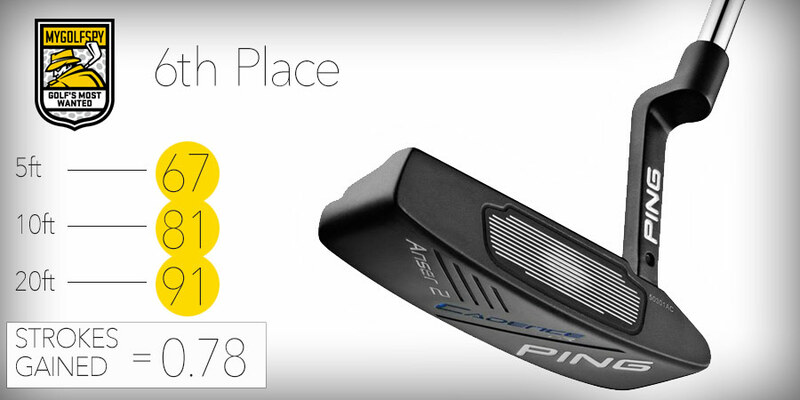 This statistic simply measures the average number of putts a player takes over 18 holes. The final Strokes Gained 18 number you see is the number of strokes you can expect to drop off your score for a 18 hole round of golf. As we mentioned yesterday, MyGolfSpy scoring is based upon the Strokes Gained putting statistic. Like years previous, our testers putted from 5, 10, and 20 foot distances, but rather than measuring radial accuracy, this year we are looking at strokes gained vs. the average. For more details about the test itself, visit our How We Test page. 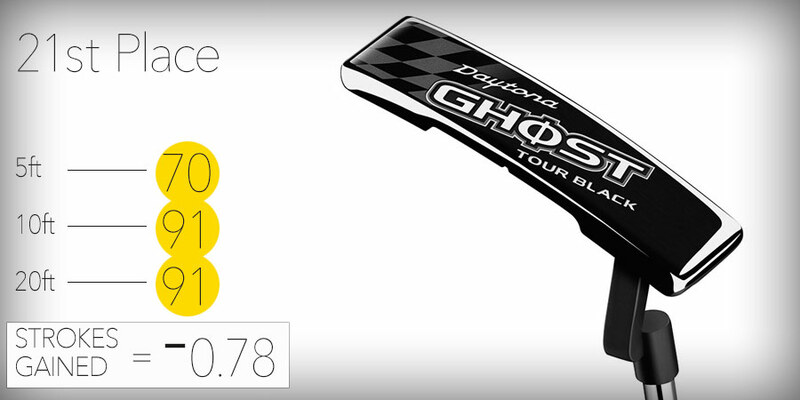 The Most Wanted Blade Putter will be the one that allows you to put lower numbers on your scorecard. That’s what matters, and that is why this system of assessment was adopted. *Hover over any column title in the chart below to enable sort features. If the chart doesn’t load, please click here for a static version. All of the putters placing in the Most Wanted Top 10 produced positive strokes gained values, ranging from the Ringo’s 1.87 to the Anser CB’s 0.43. What that means to you is that all of these putters should help you to make more putts. Though the first few putters in this section still provided our testers with a strokes gained advantage, here is where we see the putters that provided average performance, or actually performed below average compared to the cohort. Remember, a negative strokes gained value actually means that you are giving strokes back, causing your score to go up! 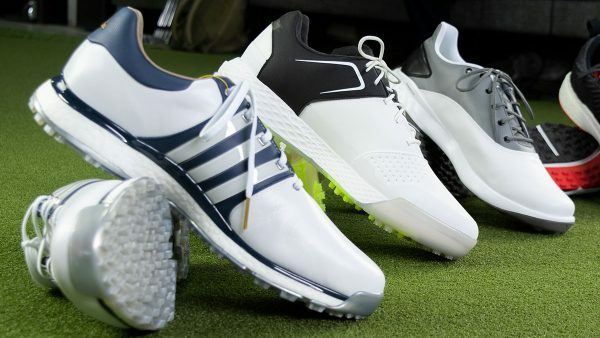 We’re not lying when we say that we refuse to take advertising from the biggest names in golf. We truly believe it’s the only way to remain above the influence, publish real results based on real data, and continue to provide honest opinion and commentary about what’s happening inside the golf equipment industry. If you found this report useful, meaningful, or just interesting, please consider making a donation to help support MyGolfSpy’s independence. We accept credit cards through PayPal. A PayPal account is not required in order to donate. A putter-obsessed recreational golfer, constantly striving to improve his game while not getting too hung up about it. Golf should be fun, always. My name is Danny Thompson. I am the store manager of a Taylormade Factory Store in Tucson AZ and currently use a Scotty Cameron Newport Select. 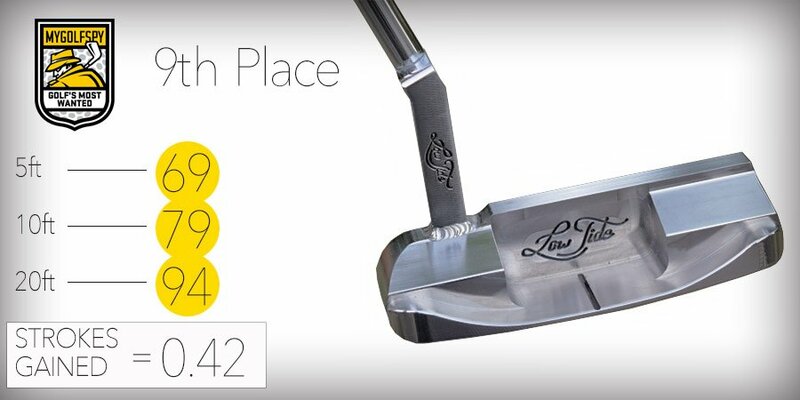 It is the only club in my bag that is not a TM and would love to try this putter. It looks awesome and I can’t wait to give everyone feedback on it. 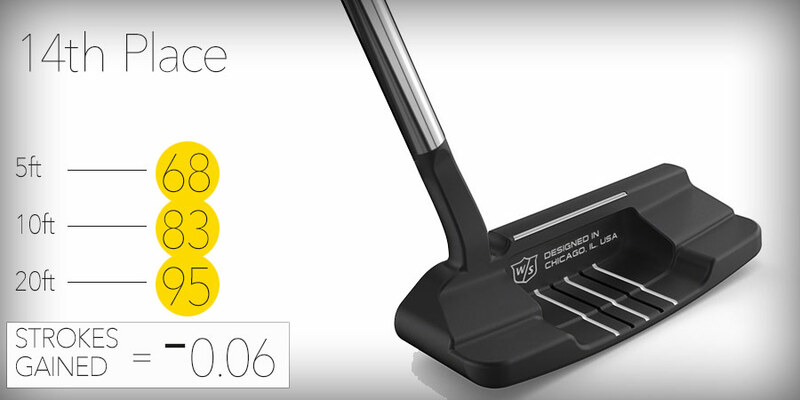 so according to this test, a putter can actually make someone a worse player? Thats what I get out of a negative strokes-gained rating… I agree that players should get fitted for equipment, and that wrongly-fit equipment can affect your game. But its hard to believe that simply the make and model of a putter makes you a worse putter. Hard to believe for sure. But after years of testing it is absolutely possible. Beyond the years of testing and data just think about from this perspective, if a putter can make you better, a putter can make you worse. So the Ringo wins…what were the specs tested for this specific putter? Carbon has a lot of custom options on their website. I’d be curious to know what the testers actually had in their hands. Grip model? Pure? Superstore? Iomic? 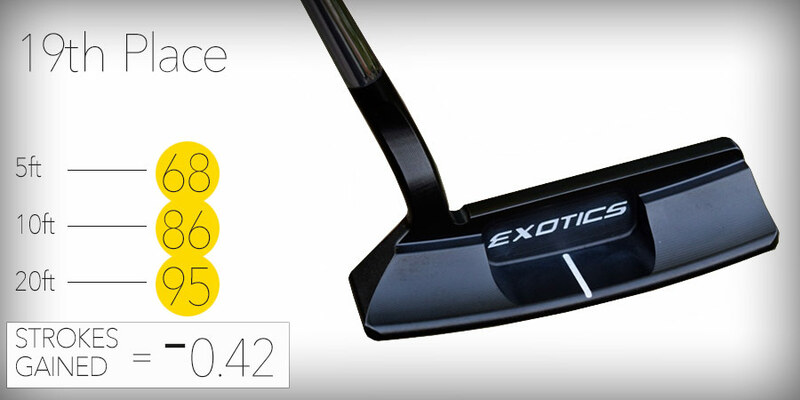 We were not surprised the putter tested well, we were surprised however at being significantly on top. 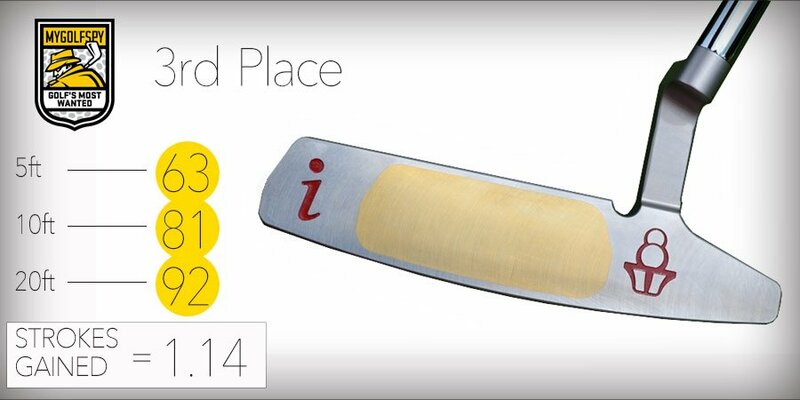 What we had declared as the most important aspects of a putter just over a year ago were validated. Any idea what makes one putter work so much better than another? 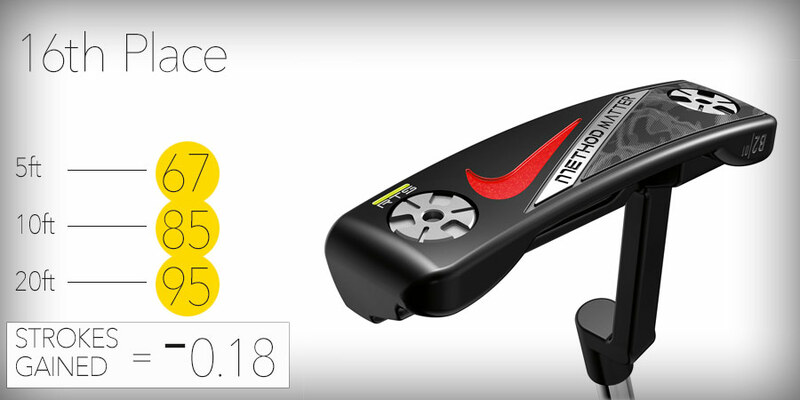 In the blade test, “Anser or Newport” style putters, I’m not seeing much technology that would make me think that one putter works better than another, but obviously your testers made a lot more putts with the carbon for instance, over the scotty. Can you help me understand why that is? 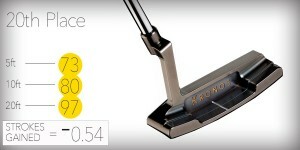 Nice to see Wilson and Cleveland in the top 10 with very nicely priced “off the rack” putters. They sure beat some high priced and highly marketed putters on the market today. If I were a beginning player I would snap one up fast. I might anyway at these results and prices. That being said. I have not understood why so many players spend $600 on a custom fit driver you may only use 8-10 holes per round and then DON’T have a custom fitted putter you use each and every single hole and if you shoot par, accounts for half your strokes! And I am including myself in the this category also. I will have a custom fitted putter in my bag soon, hopefully. Leaning towards Piretti at the moment. Very interesting review, good work guys. If I read the test and chart correctly, at the 5 foot range, it took 62 hits to get 50 balls in the cup. That seems very high to me. The folks I play with do not miss five foot putts very often. I am a 30 handicap and have 90+ % confidence at 5 feet. My buddies are much the same with the best player being a 10 handicap. Admittedly, the putting is the best part of my game – I very rarely three putt, then when I have a stupid long lag putt. I bought the Ping Ketch based on the MGS testing. I liked it so much that when I heard it was going to be discontinued, I bought a back-up! 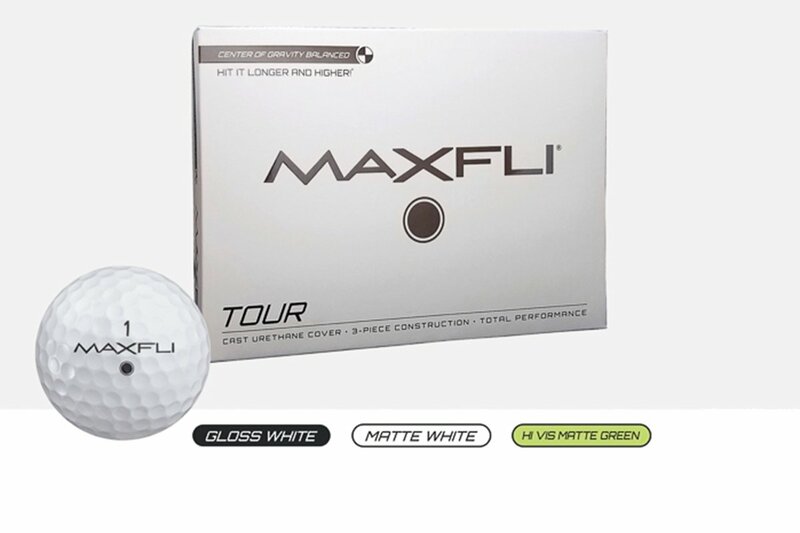 I tell my friends that it comes with an unconditional guarantee that it will make every putt 5 feet or under 100%. I think Tiger used to use a Scotty Cameron with a slightly longer plumbers neck…maybe its the hosel and not the putter that is so great…..
Why the Carbon Ringo 1/4 and not the Ringo? It would be interesting to know if its the Ringo line of putters that is so great or if its the 1/4 model that makes the plumbers neck more of a face balanced putter like a mallet?…. 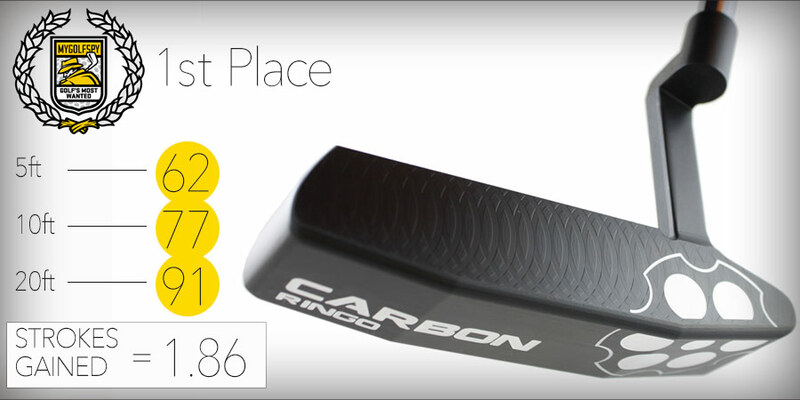 The test results state the Carbon Ringo is the most wanted blade putter for 2015. Is this among amateurs or pros? Jason Day won the PGA Championship with a TaylorMade Ghost Spider. Jordan Spieth, arguably the best putter on tour right now, uses an old Scotty Cameron. I don’t doubt the test results, but I’d be very interested to know how many people who make their living playing golf are currently using the Carbon Ringo1/4? The dynamics on Tour are such that what a player has in their bag is not, necessarily, what they would use if they had a choice. 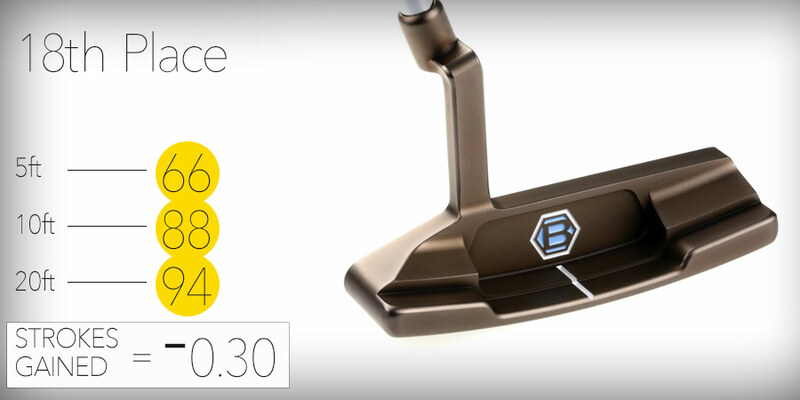 Money flows freely from the major manufacturers to Tour players, to ‘bag’ a putter. Is that putter per the players specs? Of course! 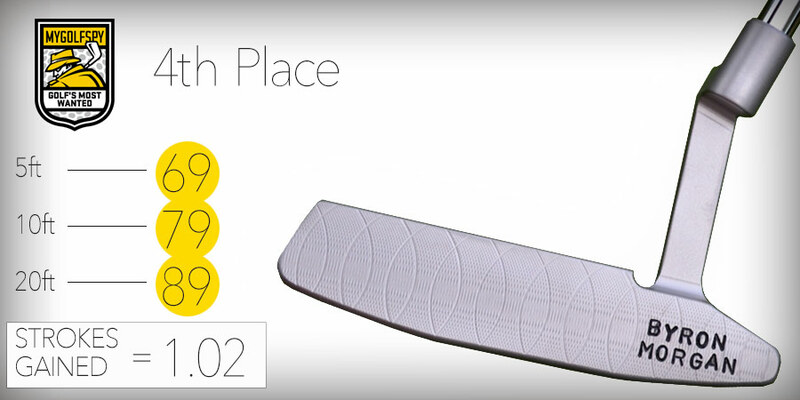 Does the manufacturer pour over critical data to make a putter for their player….absolutely! 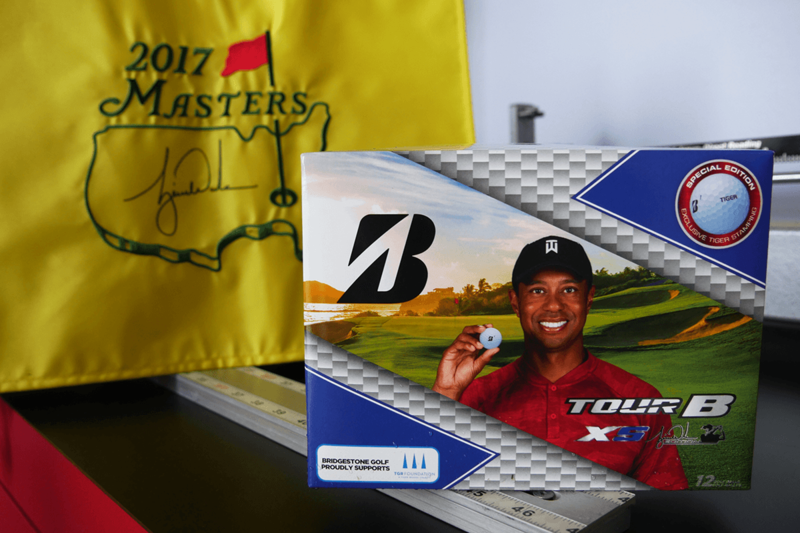 But the amount of money a player is paid to make a putter their ‘gamer’ is huge….Jordon Speith being one exception and their are several more exceptions on Tour, but for the most part, a putter is in someone’s bag because the player is getting paid to have it in their bag. I am somewhat skeptical of these results, when comparing Anser or Newport 2 head shapes with a plumbers neck (basically 2/3 of the test was of that design). Or comparing any similar headshapes. 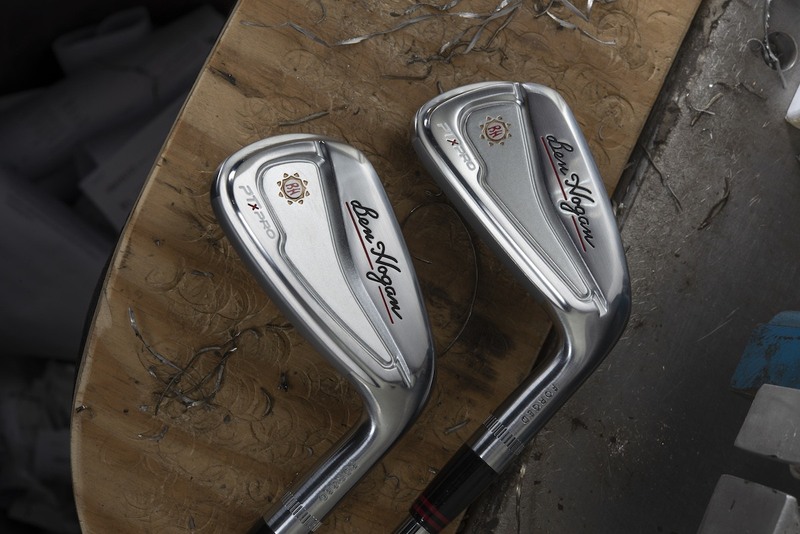 With the same head shape and hosel design, making a straight putt for the purpose of the test would seemingly come down to other factors – grip shape, lie angle, and overall weighting being the biggest variables. Those factors should all be dictated by personal preference or the result of a fitting. 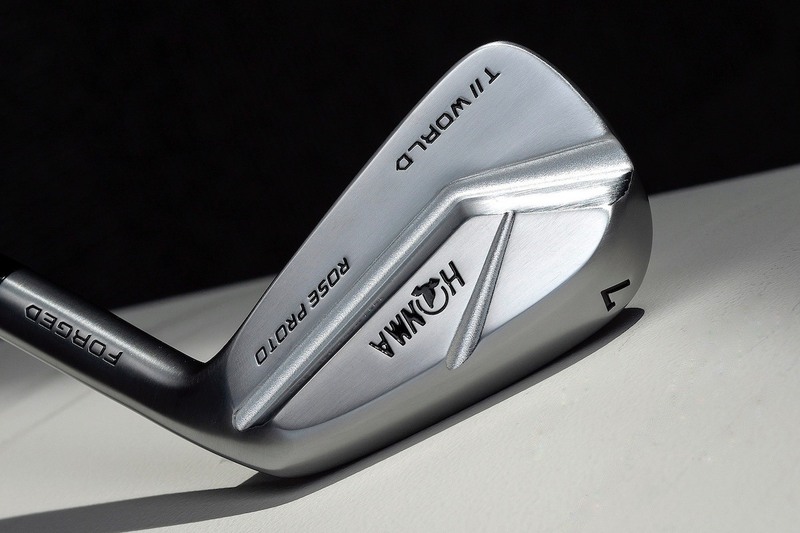 What I am trying to say, a Byron Morgan 615 vs the Buzelli or the Machine or anything similar – with the same length, lie and grip the ability to square the face to make a straight putt for the testing should be very, very, very similar. Love these tests! 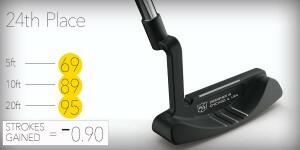 I have never heard of Carbon putters and never would have had it not been for MGS. 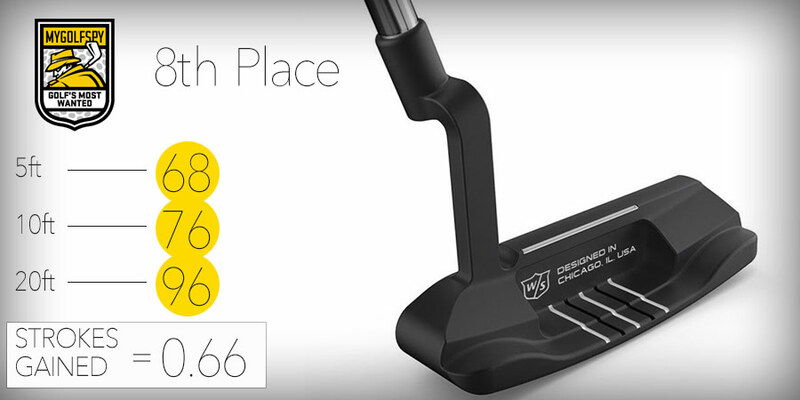 I’m not in the market for a new putter now (I just got a Ping Ketsch Heavy – love it), but it’s great to see these small manufactuers go up against and beat the big boys. 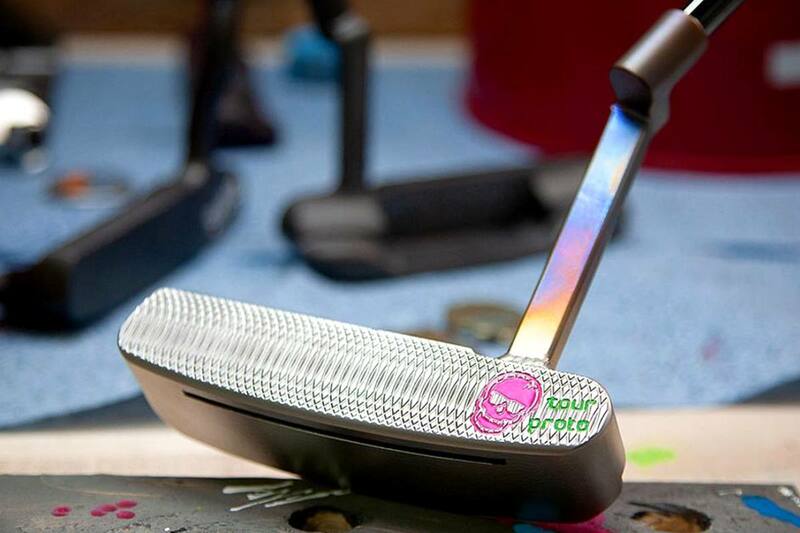 I feel like this is more common in the putter market than anywhere else. They r all ping ansers so the anser won. Curious, were the standard grips used? Looks like it out performed the Ping’s Anser 2… Three different versions of it. 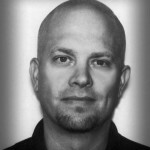 Gotta give credit to Mr. Karsten for the fundamental anser style head shape however. 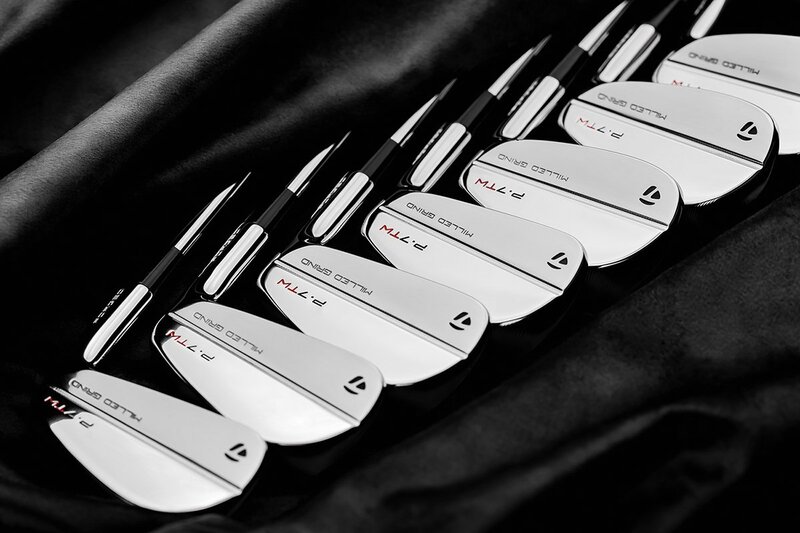 Scotty Cameron would be selling used cars if it weren’t for copying Ping…. Interesting way of testing. I’m thinking that there is quite a lot of variables with this kind of testing? To say one putter is better, performs better is unfair. One that performs better for some, may not perform for others. 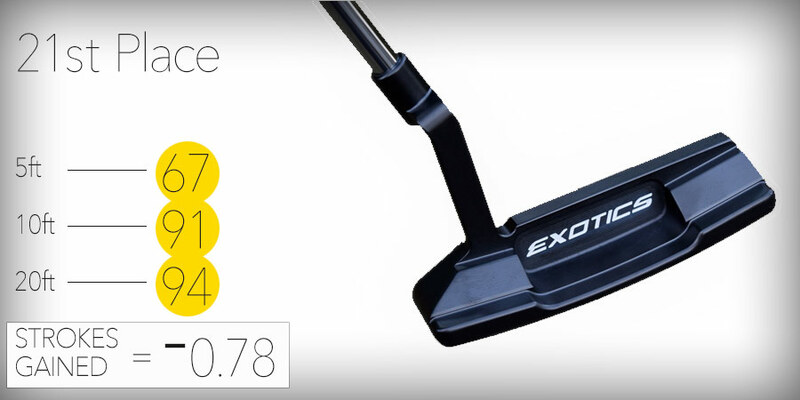 So the test is really just finding a putter that worked best over the average of 20 random golfers. It is referred to as statistically significant data. And after lots of research this is still considered the best way to test. 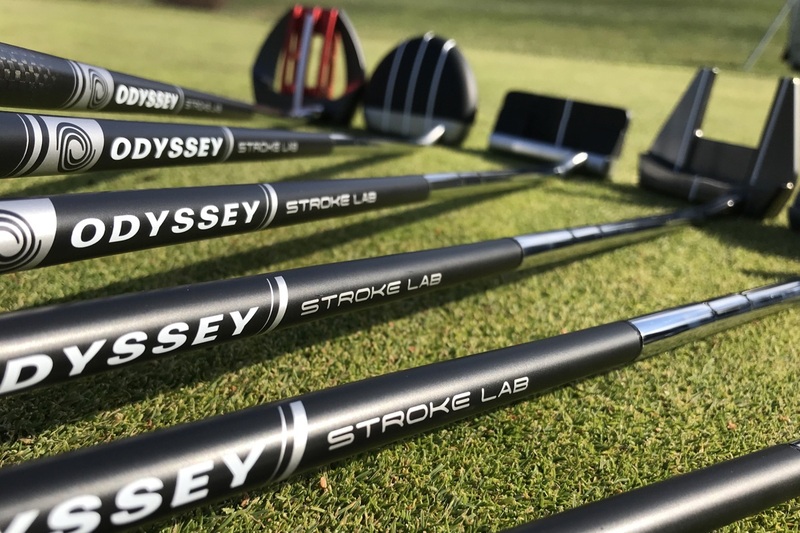 I’d like to see the data by tester: which sticks performed best for the more skilled putters, which ones helped the poorer putters the most, which performed best for the low handicappers and likewise for the higher hdcps. 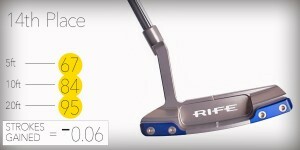 This putter’s design is very similar to past and current offerings. There is nothing special about it. The manufacturer does not make any special claims because they can’t. What an accomplishment! Congrats Zack and Josh. I think it is interesting that counterbalanced putters finished ahead of the non-counterbalanced version of the identical putter… twice. The Bellum Winmore 707I-CB outperformed the 707i by a large margin and the Ping Cadence TR Anser 2 CB outperformed the non-counterbalanced Cadence TR Anser 2. Seems to imply that counterbalancing alone makes the putter better. 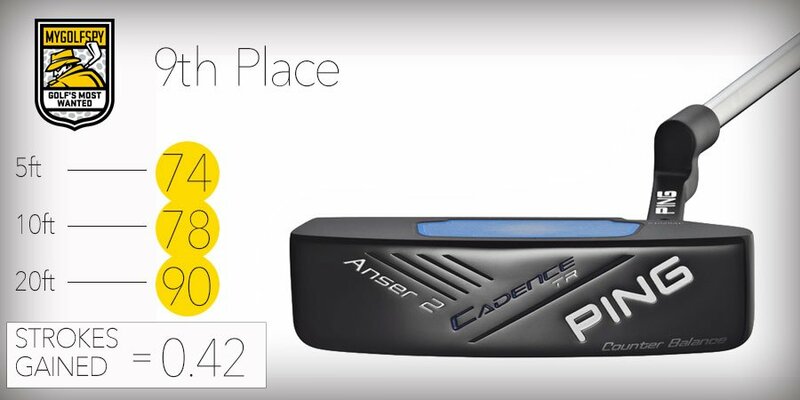 And the Ping Cadence TR Anser 2 HEAVY was even better than the CB version. 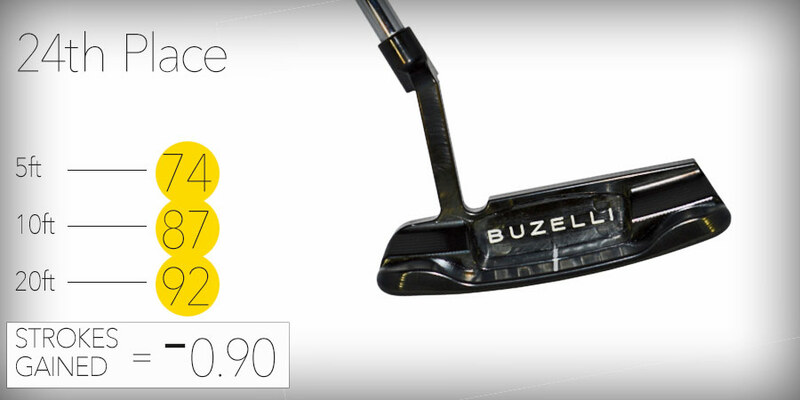 Something beneficial occurs with these heavier versions of the same putter. 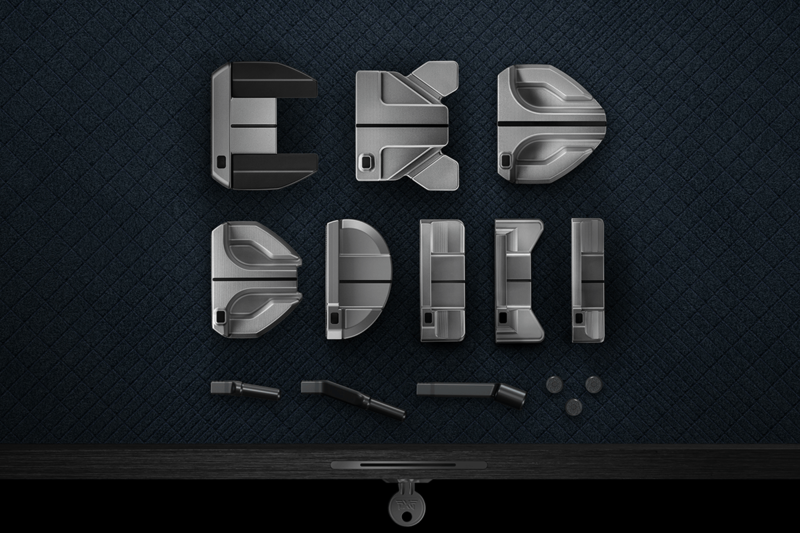 It would be helpful to know which putters are face balanced, which ones are toe-down, and which ones are part way in between. Intersting how much difference there is between the ghost daytona and the indy when they are essentially the same putter with different neck/hosel offset. Any thoughts as to why? Any chance you could break this down by handicap? I get the cohort/aggregate/average results, but the putting stroke of a single h-cap vs a 20 is significant, and it would be nice to see if there is a significant difference in ranking from one group to the next. Thanks. Excellent club testing study . The depths you guys go to testing and the detail of the results is unmatched. For us consumers this info is invaluable. Thank You . Wow. Thanks Nigel. Really appreciate that feedback. Nice job guys. Always providing food for thought. While all these sticks are good looking and well made I was particularly glad to see Low Tide in the top 10. I don’t own one, but always admired this company’s designs and craftsmanship. My one regret is that Bruce Sizemore doesn’t have any designs represented. Wish he was back in action. Still stroking an SB-2 Players Series blade. It is nice to see Wilson Staff make it in to the top10 with such adorable price club. Thank you for all the hard work you do testing these! I use your rankings quite a bit when I am looking for a new club to buy! Thanks so much for saying that Greg. It is truly our mission and calling to empower golfers to help get the most out of their time, money and performance. The golf world needed some honesty. Is this possible with 2 almost comparable putters ?? or are they so different ? Interesting article, the thought that another putter could gain 1 or 2 extra strokes is very appealing and imo worth the money…..but I have some doubts. Last year I took twice an 3 hour evaluation and training of my putting technique/abilities with Rob Mouwen in the Netherlands, he’s the putting coach from Tour Pro’s (one is world ranked top 60) and several LPGA pro’s. He showed me that putting is about set-up, technique, analysis with the SAM putting lab, improving aligment, improving stroke tempo, improving face angle at adress and at impact aso. But above all about feel and which adjustments suits the individual player. He gave me a tempo app to improve that, he tested witch I alignment method suits me best (putter and ball alignment), he analysed the variety of other possible adjustments and witch I would benefit from concerning feel and personal adaptation. He send me home with some training drills, video feed-back and perseverance. Before I was a hcp 8.8 but it took me 2 months to lower it to 6.7 witch is a 25% improvement.In 2014 I gained 2 to 3 strokes per round compared to my average from 32.48 putts in 2013. In golf putting is a major part of the game and in my experience a very personal thing. What kind of putting stroke/arc do you make, witch type of putter suits this (toe weighted, face balanced) witch hoseltype (offset yes or no, heel shafted or centre shafted), witch head weight, without or with and witch alignment, counter balanced in grip yes or no, grip thickness, so I mean VERY PERSONAL. I think that the torque balanced putters from Edel are a very appealing option, but the buyer only benefits from that after a individual putter fitting. Imo no wonder they finished second to last ? In Golf Digest Hot List the same Putter E3 finished quite high ?? I’m a great fan of Myspy and in it’s way it’s a thorough and probably at the moment the best way to test putters ! I would be happy ‘if only’ this test and 300 US for another putter would gain me 2 strokes 🙂 Maybe it will, maybe there’s more to it ?? 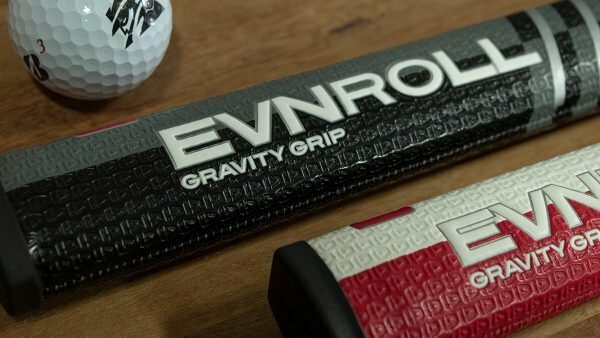 did this list include all of the Putters tested or just the top 20? For example, was the Odyssey Works Versa #1 WP/TANK tested? Great job guys. As always, very well done test. 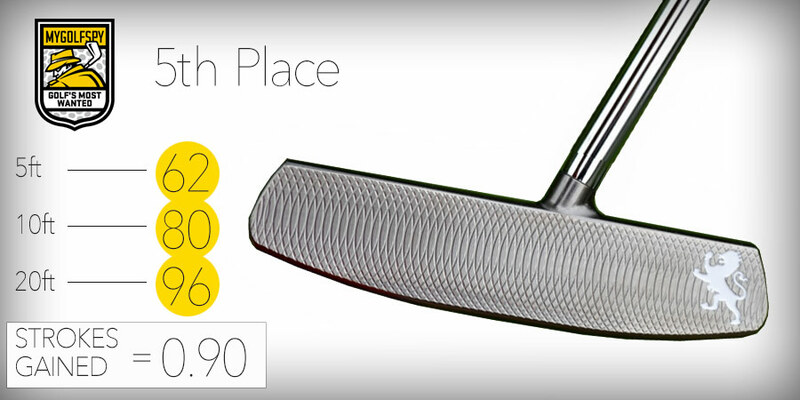 As with any golf club, this gives everyone a great place to start when choosing a putter. 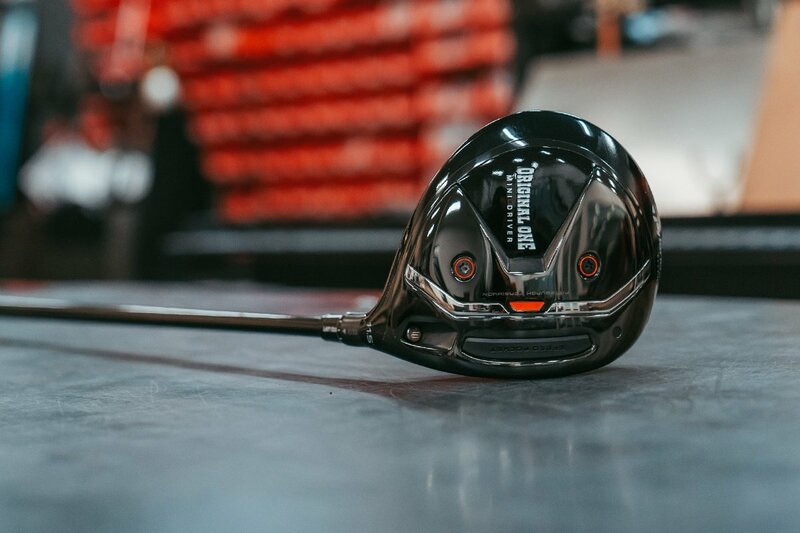 I spent a couple of hours in Golfsmith one day and had decided on the Taylormade Tour Black Ghost (very similar to the Indy). I was only looking at putters under $200. When I went back to buy it I took a buddy who uses a Scotty Cameron Newport. He talked me into trying it vs the TM. No comparison, I was hitting a lot more putts with the Scotty and my misses where better lengths. Putting is feel and you have to get what feels right to you. Thanks for another great test. I was surprised by a few of the results. By the way, it appears that Mark Broadie may have taken credit for the idea of strokes gained but that it was actually developed and done first by Peter Sanders (Zach Johnson’s stats guy). Here is what Sanders says about it: http://www.shotbyshot.com/About-Us/History-of-Strokes-Gained. Can’t say I’m suprised by the Cleveland Classic’s great showing… I used to have one of those (back when they were bronze), but they had a recall b/c the glue holding the insert came undone at the edges (they replaced it with a NeverCompromise blade as that was the closest they had to the Classic in their line-up at the time – also good btw). 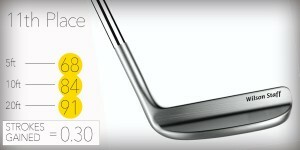 Before the face insert issue though, it was a fantastic putter and it seems they’ve fixed the problem and performance is still there. Hands-down the best bang for your buck at only $100! I am shocked to see the Machine at the bottom. 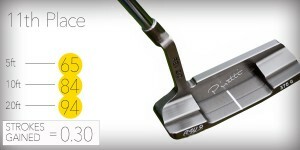 I wish I had been fit for mine but it is the best feeling and smoothest rolling putter I have ever played. Zach just won the British with a Seemore putter. It would have been interesting to see how it would have stacked up! 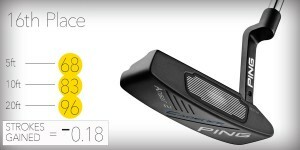 Other than PING, I’d be interested to know how many of the top 10 putters are used on the PGA and LPGA tour. 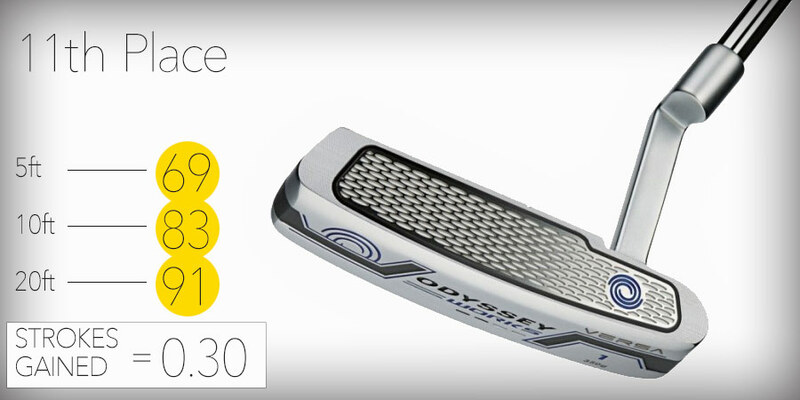 Odyssey rates itself as the #1 putter sold, and the man who many consider the best putter on the PGA tour right now, Jordan Spieth, uses a Scotty Cameron, as do many other pros. Very interesting results. What works for one guy doesn’t always work for others. Spieth has had his putter for a very very long time and is obviously comfortable with it. 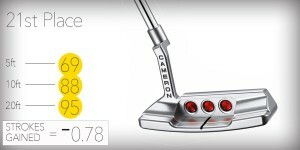 Just bc he’s a great putter with his Cameron doesn’t mean he wouldn’t be better with a different putter. But why would he mess with something that isn’t broken? Very interesting, I’m possibly in the market for a putter in the next year or so and I’ll take this into consideration. Very interesting. I wonder how I would have ranked them if I were a tester. I noticed that only 2 of the putters have no alignment lines. I use a Scotty Newport with no aim line. The reason is when I was fit for it, the fitter noticed I made a more free flowing stroke with no line. 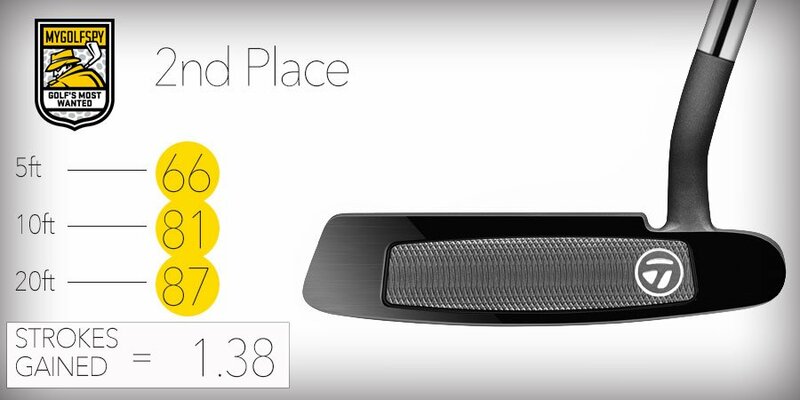 Obviously you can’t have 100 putters to make sure everyone plays to their own specs. My phone won’t open file ..who won ? The article is a great compilation of putters. There was a lot of putters on the list I never heard about. Did they hit the same putt repeatedly? Any subjective feedback from the testers on why the RIngo took top honors? Was it feel, look, balance? Basically all the blades look pretty much the same so it is very interesting that they would separate by almost 3 strokes gained. Was each putter fit for length, loft, and lie for each tester? 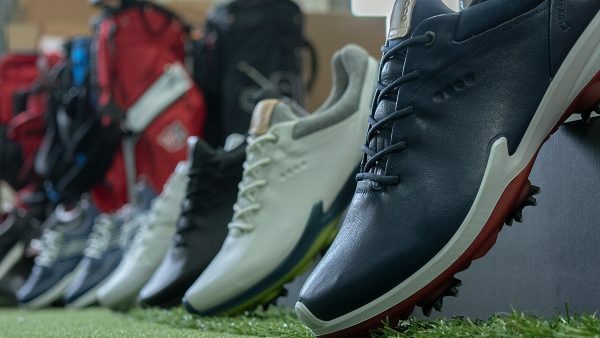 If not, all the results really tell me is that the best performing putters on this list were a closer fit, off the rack, for the group of testers’ putting stroke. 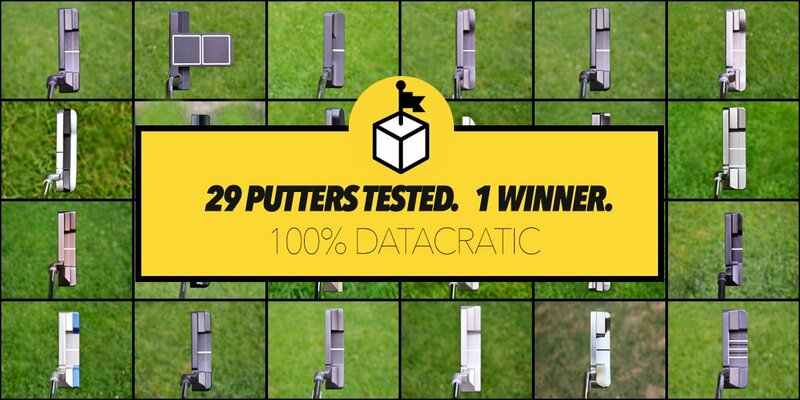 Not necessarily true… If each putter was individually fit to each tester your results should realistically be identical and the test results would be a twenty-way-tie, right? Did you try to get any Bobby Grace putters to test against these. I use one and would love to see how they would rank. Very Cool results! Interesting data, to me it honestly seems like any 29 would be a good choice data doesn’t seem to make a huge difference for an amateur like me!! Definitely interested in trying the DG Exotics and gonna have to find a new Rife to try! Thanks for the awesome tests for us consumers not marketers!! !